Nothing feels great than waking up besides the one you love. It is a feeling of mixed joy and excitement knowing that you are not alone. 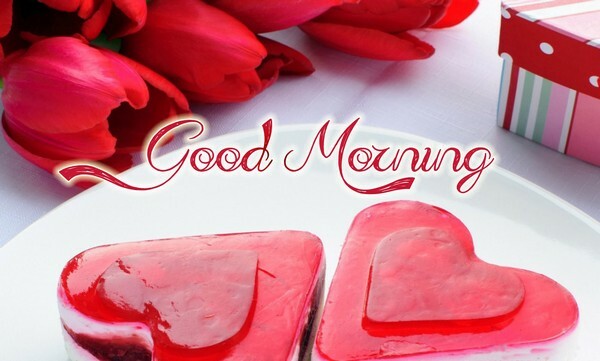 Tell your special someone how much you love her/him every day and make most of your moment sweet and romantic starting in the morning until the day ends. Here are some heart-warming messages especially made for your one and only love. It is indeed a good morning seeing you wrapped in my arm peacefully sleeping. Your face is like an angel to me. I would never get tired of looking at it from the moment I open my eyes until I fell asleep. You are for me the most wonderful person in the whole wide world. Good morning, my love. It is always my pleasure to prepare your favorite breakfast meal, to make you a coffee, and to give you the sweetest kisses in the morning. If only every morning are like this, then I will be the happiest girl ever. I love you, sweetie. Having you here with me every waking hour of my life is beyond my expectation. You make my day happy and grateful. I hope it will never end because without you my life is incomplete. Wake up, honey. Let me give you a good morning kiss, a good morning hug, and an ‘I love you’ to start your day. Breakfast is ready and is waiting for you. Enjoy your day. I love you. Mornings with you are one of my favorite moments in life. It is where I can see you without make-up but still looking beautiful. Your smile and your face are one of those I love to see when I open my eyes. I thank God for this opportunity to be with you for the rest of my life. Every morning with you is precious to me. It gives me hope and strength to face another day and all its surprises. I know I can do all things with God and with you by my side. Have a wonderful day ahead, sweetheart. I am happy to see your beautiful face first in the morning. Every wonderful thing that happened to me started with your warmth kiss and embraces. I love you more than anything else in this world. Good morning, love. I wrote this note because I do not want to disturb you while you are having a sound sleep. I prepare breakfast for you; just heat it in oven when you woke up. Take care and always be safe. I love you. See you, tonight. 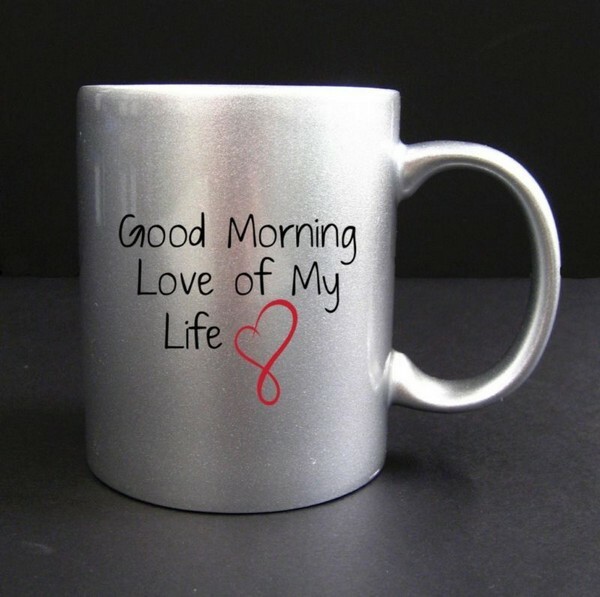 What a wonderful feeling to be with the one you love every morning every day. A little of cuddle time, sweet talks, and priceless laughs, everything I am asking for I found in you. Thank you for all the love you are giving me. I love you. I am willing to share a space in my bed to the one I would love to see when I wake up in the morning. Good mornings kiss to lighten up her day and a delicious breakfast for a healthy mind and body. No matter how tired I am from work, I would never get tired of doing this every morning for you, my love. Good morning, sweetie. I thought it was only a dream to be with you, but you are right here with me real and breathing. I thank God for this moment and I pray it would last for the rest of our lives. I love you. My love for you is like the morning sun, always new and beautiful. Thank you for all the love and care. Nothing could ever make me change my love for you. From now on, I will always there for you. I am always happy to be with the one I love every waking hour of my life. Seeing her pretty face, her beautiful smile, it completes my day. How lucky I am to be with an angel always by my side to love me and to take care of me. Good morning to the one who puts smile on my face every day. I just want to say I love you and thank you for staying with me. Looking forward for more cuddle time, breakfast together and sweet conversations with you. Have fun today and be productive. I love you. I am tired from work and immediately fell asleep by your side. When I wake up in the morning you are already up to prepare my breakfast. I thank God for having a wife like you. Don’t worry my love; I will work hard to give you all the best in the world. I love you, sweetheart. Wake up, honey! Breakfast is ready. I have to leave early today because of my meeting but I’ll make sure everything is already prepared including what you will wear today. See you at dinner. I am blessed to wake up beside you every morning, my love. It is always a great morning to have you here with me all the time. Love is all I am longing for, and now that you are here I am now complete and I could not ask for more. Good morning! Good morning my beautiful sunshine. Look at the sky, perfect like you. Let’s take a walk hand in hand and let’s tell the world about our love. I love you. My love for you is like the morning sun, beautiful and bright. Good morning! Enjoy your day, sweetie. We fight and argue sometimes but we always end up as best friend at the end of the day. And when we woke up in the morning, everything seems to be fine and we already forgot about our arguments. Our love is not perfect but we are working hard for it. Thank you for your never ending patience and love. Evening here and its morning there. When I’m down and weary, I just have to think of you and everything will turn out just fine. I miss waking up in the morning and it’s your face I have to see first. I miss you a lot, baby. Being miles away from you makes me sick. Just take care always, okay? I love you. There are times that I personally want to be alone. But mornings with you is better than to be alone. I love the feeling of being loved by the most beautiful and sweetest girl I’ve ever known in my whole life. Looking forward for more years, more days and nights with you babe. Good mornings are my favorite. It is the time where I can tell you what’s on my mind. It is the time of planning and sweet conversations. 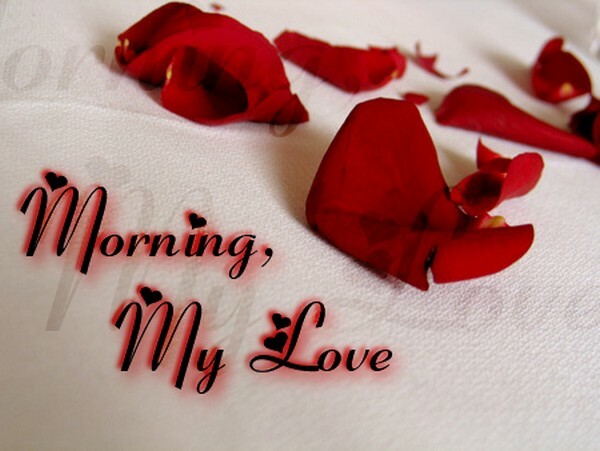 Oh I love mornings especially when you are holding my hands and smiling while looking at me. 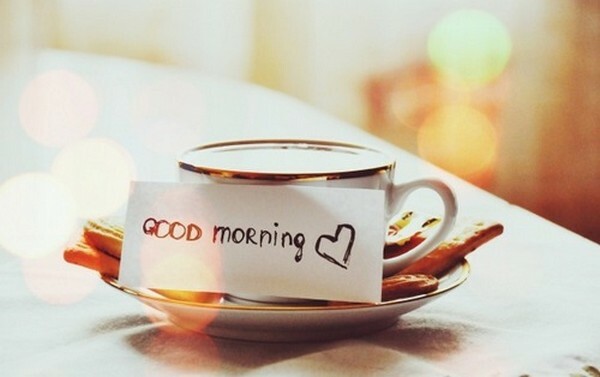 Morning kisses and hugs, hot coffee and pancakes, and the person you love the most. Perfect morning. I wish we are like this forever because I absolutely love everything between us. Every morning I spent with you is a moment I treasure. My life would never be the same without you. My morning would never be this happy without you. You are what make me who I am today. I love you, my love. Good morning! Beautiful morning, my love! Have a nice day ahead. I love you and I hope you feel the same way too. Take care always. The way you wrapped your arms around me, the way you kiss my forehead, and the way you whisper ‘I love you’ to my ears, it all feels great. Oh how I love to spend every mornings with you, my darling. Wishing every day to be this awesome and wonderful. It is always a happy morning every day because of you. Your love is all I want to have for the rest of my life. 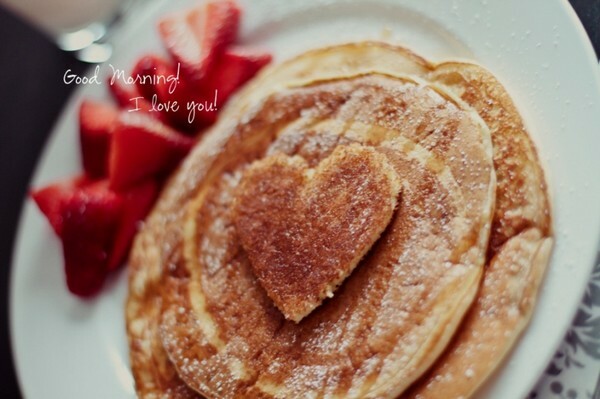 I will never get tired of preparing your breakfast because it is my way of showing how much I love you. Serving you is one of my favorite responsibilities as a wife. I love you, hubby. Wake up now, baby. Good morning! You need to be early at work today. Remember, it is your presentation day. I wish you good luck. I know you can do it. Come on! It will be a long day but I’m sure it will be fun. Enjoy! Having great mornings with you is all I am wishing for. And now that you are right by my side, I feel like I am the happiest man alive. You are for me the most beautiful and the kindest woman who I know I can trust everything about me. I hope that you will stay the same. I am always praying for your success and happiness. I love you with all my heart, sweetheart. Good morning to the love of my life. I hope you have a better sleep last night. You’ve been working so hard and I know how tired you were. I want you to know that I am always here for you. Nothing could ever change my love for you. That’s a promise. I love you. Some people don’t have the chance to wake up with their loved ones beside them. Some just need to be away from each other for some reasons. I am lucky I have the opportunity to choose to stay with you. Mornings are better when you are with me safe and sound. Loving everything about you and all. I will treasure every moments I have with you especially great mornings with you. I just love how it feels to be with the one you love from the moment you open your eyes until the day ends. No words can express how great it is to love and to be loved. Many more sweet moments like this, okay? They said love will change the moment you live together and every single hour all you can see is each other. For me, it just go deeper and deeper. How can I not fell in love with that kind of beauty all over again? You are simply amazing, baby. 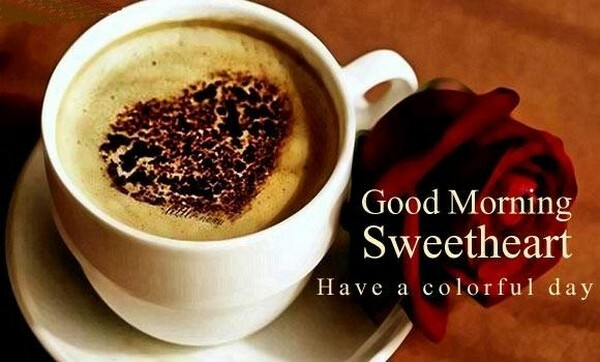 Good morning and have a nice day.